Here's a neat way for a carrier to make sure its upcoming smartphones are ready for prime time. In Canada, Virgin Mobile is offering its subscribers the chance to take an HTC Windows Phone 8S for a spin, free of charge and with no strings attached. Anyone who is willing to participate has to fill out a sign-up form, and the candidates chosen by Virgin Mobile will be given a unit for a month. Collecting feedback, of course, is one of the reasons for Virgin to launch its testing program. But in addition, all testers will be helping the carrier promote the HTC Windows Phone 8S among users of social networks. The participants will be required to post tips and tricks related to the device on Twitter - at least four of them during the 4-week testing period. Will there be any reward for doing so? You betcha! 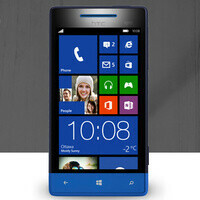 Virgin Mobile will upgrade the testers to the HTC Windows Phone 8S at no cost. Not a bad deal at all. There is a sign-up form on the Virgin Mobile web page, so in case you're interested, go check it out for more information. Just keep in mind that you'll probably need a data plan with plenty of megabytes, as the carrier notes.